the siovhan show: Gettin my hurs did. I'm a little behind on NoBloPoMo (still the weirdest and silliest title ever), but even just multiple posts in a week will make me feel like I'm accomplishing something and not just straight up abandoning this little spot (as has been known to happen). Let's discuss something my friend Sariah and I constantly talk about. The battle of the bangs. In my whole life I have never been bang-less (I really want to make a your mom joke here, but I won't because I'm sure your mothers are lovely. haha.). When I was younger I had the dreaded teased 90s bangs. In middle school I did the dreaded split-right-down-the-middle bangs. In high school I had curled front bangs (why, oh why, did no one teach me about side bangs then?!). And in college/now I've had/have swooped side bangs. Back to the battle. There hits a point where my bangs are just.too.long. This usually ends up with them bobby pinned on top of my head for two weeks until I chop them on a whim at 1 am. Then, I regret it. I miss the long version of my bangs, despite them being "unbearable" before. But I kind of like em long. I'm diggin this hairstyle. 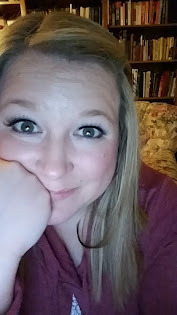 The only downside are days like today when I don't straighten or curl my hair and it's just stuck in a low bun (I'll tell you of my ponytail phobia another day). I ended up trying them like 10 different ways before just sticking to a strong side part. Do you guys face the bang battle? 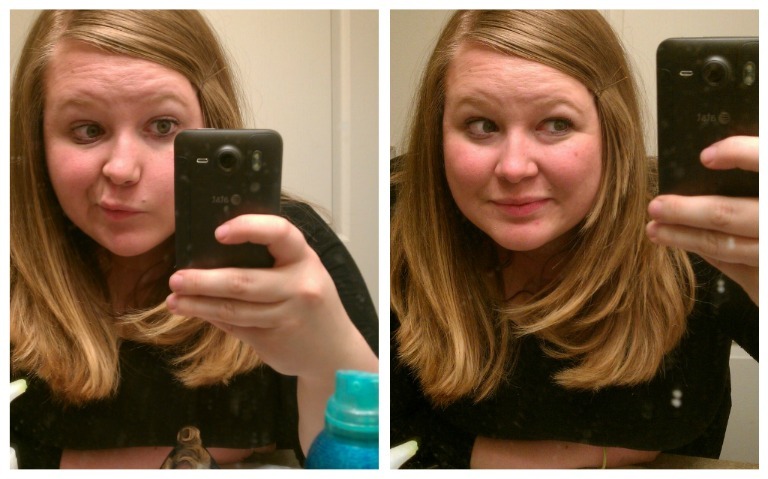 What about the battle of chopping vs. growing out your hair? I'm all about growing it out! I think short hair looks good on a lot of people, but it never makes me Ooo and ahh like long hair does. Haha, I've been stressing so hard about my bangs. They're finally getting to that long stage where they look ,as my old coworker said, "like a giant 'thing' hanging in front of [my] face." I made an appointment Monday for a haircut, so we'll see if my hair even stays as long as it is. I'm a habitual spontaneous hair cutter.